1. Honda Dream /Waves – generally Chinese made copies & not so reliable. Get a Thai-made one if you can. 3. Various big bikes from Fuark via Remote Asia. The number one bike shop in Laos. 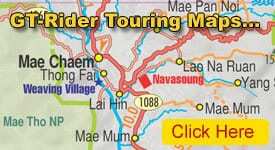 Most tour companies get their bikes from Fuark, who has the biggest fleet in Laos. T2 Road. Ban Nakham. Vientiane. Tel (856) 021 – 261970 & 213319. Mobile 020 55521661 & 020 54222229. Bikes: Honda CRF 250s / XR250s + the best big bike mechanic shop in Vientiane. 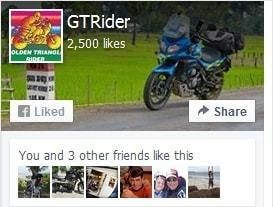 Used & recommended by the GT Rider when he is in Vientiane. Just drop in & say hello. Fuark is a really cool guy & right into M-X. If you’re into M-X & Enduro racing, then drop by Fuarks as they ride ‘n race every Sunday. Mobile: 020 550 7770 & 020 5614201. 10 x Bajas @ US$20 a day. Provides a one-way bike service – either pick-up or delivery, with his own long wheel based 6-wheel truck. Bikes: mainly Chinese Honda Waves / Dreams, but a few weary looking 250 Honda Bajas. In Tha Khek you can rent from Mad Monkey Motorcycle Rental. Try the Lankham hotel for some 250s + scooters. If none of these appeal to you, it is possible to rent a bike in Thailand – Chiang Mai or Chiang Rai – & take it to Laos.